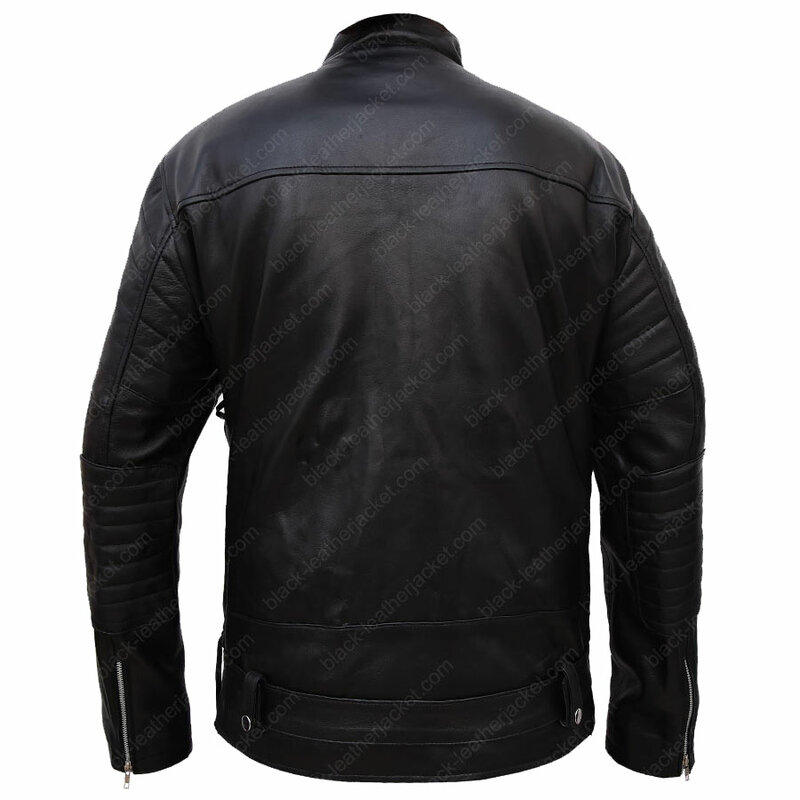 Terminator 3 Leather Jacket is formatted in genuine cowhide leather, including viscose lining inside and belt adjustment on waist. 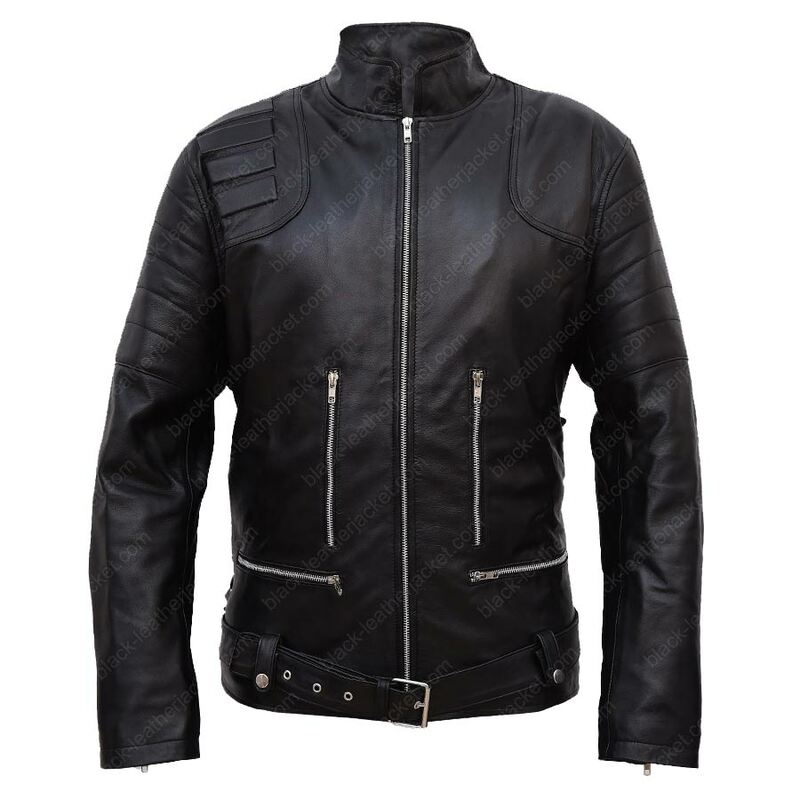 This Arnold Schwarzenegger Rise Of The Machines Jacket consist of front zipper closure, two vertical zipped pockets, stand collar style, two horizontal zipped pockets padding on the right shoulder, biceps and elbow region while zipper cuffed sleeves. 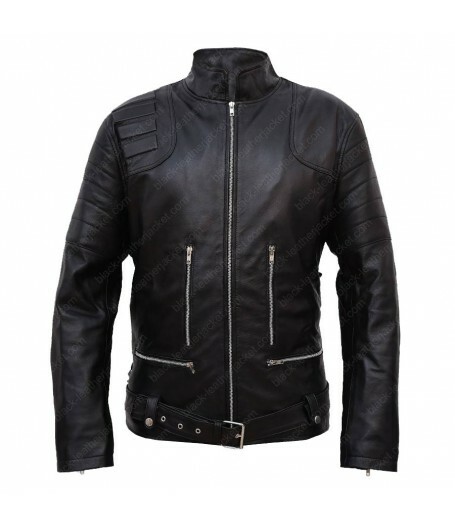 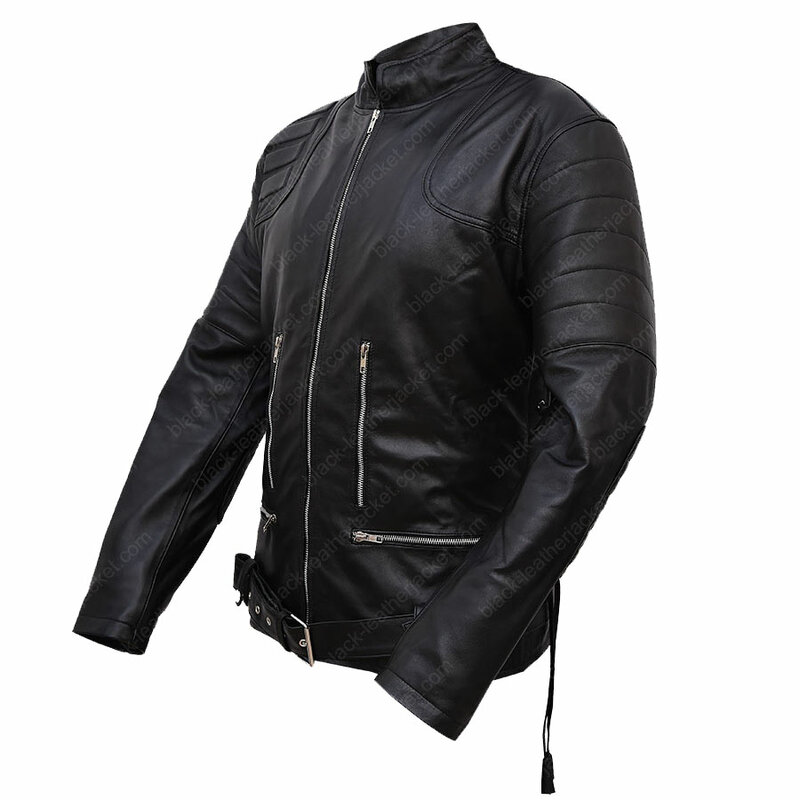 Striking black in color, this jacket is best for bikers.